Most every practice is using some form of social media and is hopeful that their business page is being shared with their family and friends to attract new patients. But first, you need a list of friends to send it to and once they get it, they need to respond so their friends can see it too. They need to like your page and want to receive your updates. Does a social medium make sense for my dental practice? Will I be able to attract new patients? How many social sites should I use? And which social media will be best for my practice? Social media for your dental practice is a form of communicating with your patients, not advertising. When people promote offers or specials for their practice on social media they get tuned out and eventually people unlike their page. However, useful information is always welcome and well received by the majority of followers. You will have patients who will never use it and others who use it daily. If the information doesn’t provide value in the form of entertainment, helpful tips or general awareness… you may annoy them, especially, if you contact them too often. You need to consider your patient base and be willing to give them an option to use it or not. You can also create a signup sheet and collect patient email addresses. This gives you a way to contact them via email to send offers and appointment reminders. The patient’s age may be a factor on whether or not the patient will be interested in your social media. Typically, it is a younger person’s game but, people in their 50’s and 60’s are starting to use social media more often, so don’t discount them. As your patients like your posts, Facebook automatically shares the post with a certain percentage of their friends. 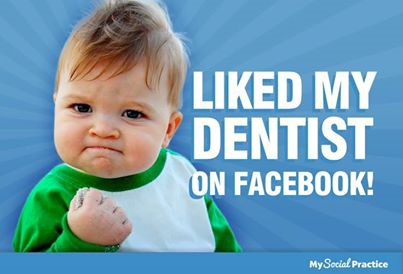 If they enjoy the post and happen to need a new dentist, they may like your page, check out your practice and consider using your services. The quantity of posts you send depends on the social media you use and how often your patient base would deem your posts helpful or obtrusive. On LinkedIn, you’ll want to post once a week, where on Facebook you may post a two to three times a week; on Twitter, you may post up to three to five times each day. In dentistry, think quality over quantity. Most people see their dentist twice a year, not once a week. Put yourself in their shoes… How often would you like to see something from your doctor? So don’t wear out your welcome!! Once you start using social media, you need to keep it up. You are then committed to publishing content on a consistent basis. I suggest you assign someone on your team who enjoys the challenge of writing posts, has the practice’s best interest at heart, will upkeep the page and respond to comments. When writing a post for your dental practice, you have to be careful not to be too clinical or uninteresting… if so, you’ll risk being unfollowed or defriended. When the writing is too technical, people tend to glaze over and lose interest. This defeats the purpose of the social media because no one will like your content and it will not be shared with their friends. You need to strike a balance and use good judgment. For example, a patient probably could care less about seeing a photo of a wisdom tooth being removed but may share a photo of a whiter smile or a before and after photo of a friend who recently visited your office for a cleaning. Seth Godin, marketing guru, says it is best to pick one or two social sites and do it well, rather than manage too many sites and appear inconsistent and inadequate. As you can see, there is a lot to know about social media for dentists. 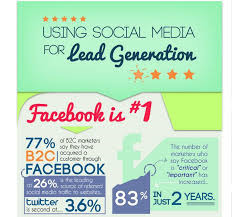 I would suggest starting with Facebook and move to others once you have it down and it is generating new prospects. I hope this helps you better understand how social media can work for your practice and explain how you can use them to better communicate with your patients and gain new patients. 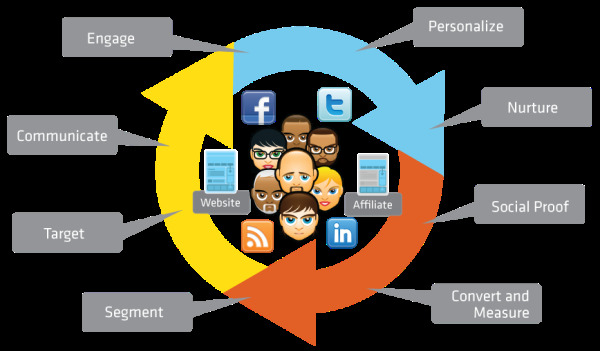 Go to: -Total Online Presence and download your 20 page workbool, to get a better understanding of how social media integrates into your online marketing.